Is there anything I could write about Easter to inspire, irk, deflate or deepen your faith? I doubt it. You probably know what you’d answer if asked about the importance of Easter . . . and you’re the only one who’d know if what you said aloud is different from what you believed in your heart of hearts. Easter is fact first, faith second. No, reverse the order. It’s about the empty tomb. Or not. Or this . . . aren’t we glad, when Peter eased into the tomb, that he spotted the “linen wrapping” used for Jesus’ body? But Peter’s discovery only occurred in John’s Gospel and therefore the added bonus of forensic evidence seems as flimsy as cheap muslin. How could John—the final Gospel written, the Johnny-come-lately account of Jesus’ life—have a disciple witness the burial garment and Matthew, Mark and Luke are silent, or “blind?” Without the fickle fabric, I wonder* if we’d have the centuries-long Shroud of Turin controversy? If John didn’t become part of the New Testament (and most gospels written in the early centuries of Christendom weren’t included), the folks embracing/rejecting claims about Turin’s (in)famous shroud wouldn’t have any Easter “material” to stitch together or tear apart. The modern English term “Easter” is the direct continuation of Old English Ēastre, whose role as a goddess is attested solely by Bede in the 8th century. Ēostre is the Northumbrian form, while Ēastre is more common West Saxon. Huh? As a preacher, shouldn’t I fear a random layperson, some guy or gal who’s quietly occupied the pew all year long, abruptly rising before the sermon begins and asking—nay, demanding—an explanation for how Christianity’s holiest day got linked to a Northumbrian goddess? Whew! . . . it likely won’t happen. Most folks are too polite. Thank God. I imagine many kids continue to associate Easter with hidden eggs. Oh let me be a fly on the wall when parents (attempt to) explain that. Another whew! . . . at least it only happens once a year. Most congregations I’ve served included thoughtful adults who sacrificed chocolate for Lent, and then consumed a bowl of M&M’s on the Day of Resurrection. So . . . isn’t Easter all about what will melt in your mouth and not in your hand? 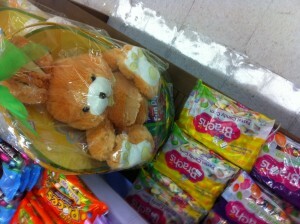 My local grocery store carts out shrink-wrapped bunnies in the weeks before Easter. I say let’s query a store manager about what a stuffed hare has to do with the Holiest of Holy Days. Of course, one answer will be easy: ka-ching, goes the cash register. Easter’s ragtag band of Biblical characters and cultural add-ons doesn’t have the same impact as Jesus’ birth story. The exchange of brightly wrapped gifts under a sparkly tree always beats tramping across a wet lawn for painted eggs secreted behind thorny roses. I’ll take a shepherd wandering the streets of Bethlehem any day over the disciples and women racing away from the tomb. How does Mark, the first Gospel written, put it . . . So they went out and fled from the tomb, for terror and amazement has seized them. Smart preachers avoid proclaiming Mark’s version of the Good News in March. Or April? Or whenever Easter arrives. This year it’s April 8. I can’t recall last year’s date. I’m not sure about next year. Where were you on Christmas in 1997? Or 1979? You might actually remember. Please, then, on this most essential celebration, tell me what you were doing on Easter three years ago . . . or twenty years ago. Like a game of whack-a-mole, Easter pops up in unexpected places on the calendar. There! No, over there! And so, dear reader, dear pew-sitter and store manager, dear child with dreams of sugarplums and painted eggs, dear adult with chocolaty smears on your finest Sunday garb, dear pastor who preaches a bold tale of resurrection at sunrise service and prays for a few days off after the hoopla’s ended, dear believer of Jesus and doubter of Northumbrian goddesses, what does Easter mean? In the end, all I can say is what Easter means to me. And what I’ll say is more humdrum than holy, more a private truth than public proselytizing. The Day of Resurrection is a divine gift of mystery. Easter helps me humbly confess this: I don’t know. And yet what I believe, because of or in spite of Easter, is that God’s love never, never, never, never ends. I don’t care for atonement theology. I don’t care if Scripture proves nothing or everything. I don’t care about the promise of heaven or the threat of hell. I hardly have answers—or even halfway decent questions—for the best or worst of faith. In the same breath I consider myself a heretic, an apostate and yet, Easter-bound and bound for Easter, I’m a fool for Christ’s sake, so in love with Creator and creation that when I’m most honest about my faith, I’m stunned and speechless. Like Peter in John’s Gospel, I depart the tomb. Everything has changed, or not. Facts and myths are debated. Interpretations are claimed or rejected. Well-meaning people confuse resurrection with reincarnation. Some take the Bible literally when reading the stone’s rolled away and others spend one Sunday in Spring rolling their eyes. Everything has changed, or not. But one thing, I believe, has been revealed and is Easter’s transformational, ongoing gift: the staggering mystery of God’s eternal love for every single creature. For me. For you. *I also wonder if we’d ever have our Christmas exchange of gifts if somehow Matthew’s Magi—and they only appear in Matthew—had never become part of the New Testament. Drop Matthew, no gold, frankincense and credit card debt at the end of the year. One of the advantages of growing old is that the charms of presents under the tree and chocolate (two baskets full, my mother worked for the factory which made Peeps. Honestly.) on the dining room table are dim memories, to which I have not looked forward for many many years (except in dreams). That may incline one to curmudgeonry, but what it does, rather, is highlight that thing which is truly remarkable about Easter. Easter is sacred time. Why else would we have an entirely separate calendar for determining Easter. Even Christmas doesn’t have that honor. Why did the early reformers want to abolish all the holidays, except Easter, because it was unique. Following that reasoning, I don’t even begrudge the marketing of Christmas. The merchants pay for the parades and the lights, which I innocently enjoy, without ever stepping foot into Macys or Target. Regarding the name “Easter”, I suspect that one can come up with a different story for every single language into which a Christian liturgy has been translated. I pressed my German lexicon from its bottom shelf to discover that the German word for Easter is derived from the German word for ‘east’. Makes sense. That’s where the sun rises, to herald the day of resurrection. I bet if I looked up the word for Easter in Algonquin, it would have some totally different association. It really gives me the shivers when people quibble over nuances of language which were cast centuries ago, and which appear to be handed down from above. Grow up gang. We made all this stuff up to honor that sense of the divine revealed to us by 2000 year old journalists, based on eyewitness reports. Stop worrying, and have another marshmallow bunny rabbit. Hey Bruce, thanks! Maybe I’ll share that chocolate bunny with you . . . but I’d prefer no marshmallows! Yea, bad for the teeth, without the redeeming features of chocolate, such as caffine and endorphins and anti-oxidants. But, as I have probably said before, I love peeps to look at, since 60 years ago my mother piped peeps by hand with a piping bag at the Just Born factory down the road. She would come home practically in tears for all the strain it put on her hands. Needless to say, all modern peeps are made by machine. Peep on, Bruce!? Have a Grand Easter! !